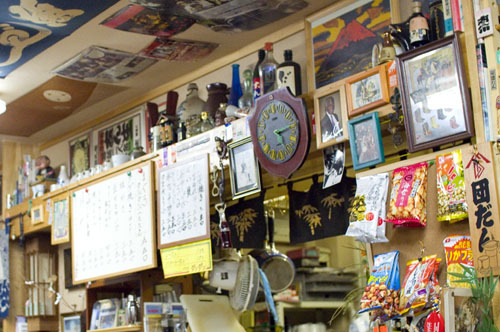 This very old-fashioned izakaya has a genuine shitamachi feel to it - sumo paraphernalia on the walls, a TV set going in the corner, and three big communal tables for customers. 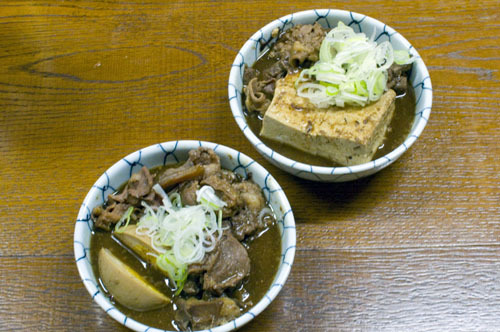 The shop is known for their beef motsu nikomi (organ-meat stew), a salty, intensely flavored miso-based stew featuring a variety of organ meats. We'd recommend the tofu nikomi, which is the same stew but with more chunks of tofu to soak up the rich flavors. 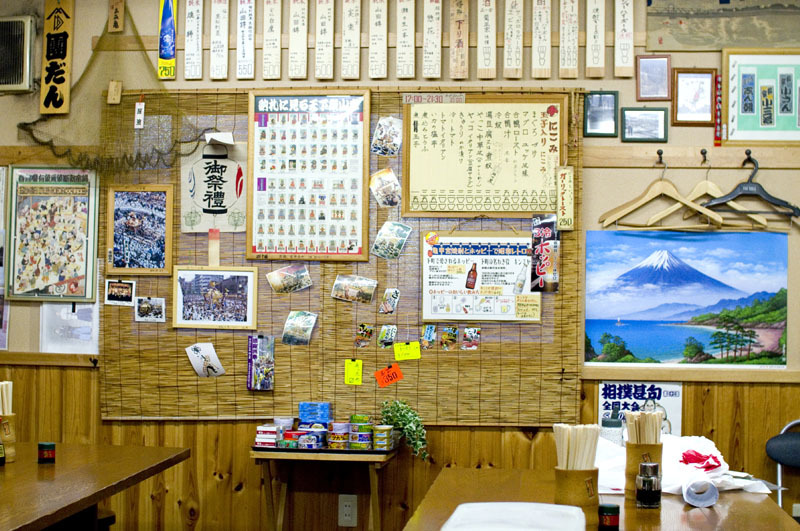 The drinks list includes seven or eight different sake, served either room temperature or heated to one of three different levels; there are also one or two sake served cold. Budget around Y2500 in the evening for dinner and drinks.